If you have not already read Part 1 of this article, you may like to go here. The world of reviews is in its infancy, and there's a long way to go. More, millions more, are being written every day; Google loves them and gives them massive prominence in search, lighting them up with star ratings (once they have 5, that is). Individual review sites have prospered: Yelp has moved from 20 million reviews four years ago to 71 million by the end of Q4 2014. That's at least a quarter of a million reviews being added every week. TripAdvisor claims four times as many (that's nearly 150,000 reviews a day). 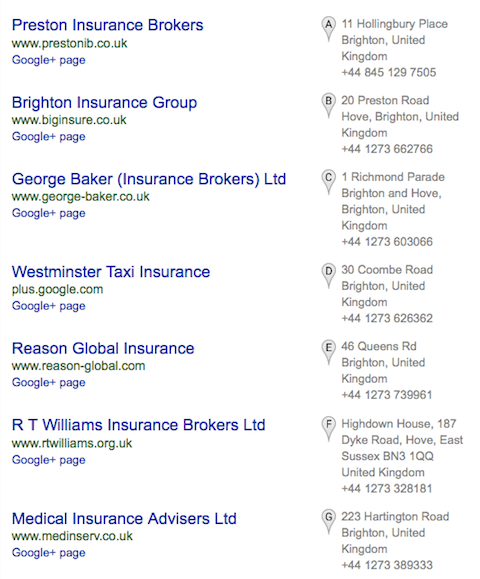 But to get to any of those sites your customers have to search on Google, which is hosting its own reviews of your business. Some businesses (often just the kind where consumers would really benefit from helpful reviews) still have none. Those numbers will only carry on growing. Just about every business on the planet will have been reviewed by at least one customer (take note all those in 'review denial') and most by many. 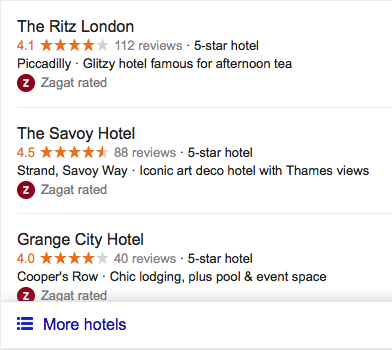 So what will the reviews landscape look like in five years' time? Financial services: A lump sum to invest or advice needed on a pension provider? Estate agency: Buying or selling a house, as we are constantly told, is the biggest financial transaction most of us will make in our entire lives. How are we to choose the right agent/mortgage broker/surveyor/architect? Medical services: Choosing an oncologist? How valuable would accurate reviews be? The divide between those businesses which engage with reviews and those that don't will become ever wider - and ever more obvious to their potential customers. Long experience has taught us that reviews are not easy to come by, especially great reviews (some disgruntled customers/clients/patients will always take the time and make the effort to write negative reviews). Very few businesses will be able to fly under the radar (like Westminster) and those that do take the risk are more than likely to end up looking like R T Williams and Medical Insurance. Businesses that actively engage with reviews (and review management) today will see that strategy pay increasing dividends in years to come - and we are prepared to guarantee that, by offering you a no contact trial and a money back guarantee. * Building reviews into your business's core strategy: means telling your customers that reviews are part-and-parcel of the way you operate your business; that they will be invited to write a review and you should stress just how much value you place on that review. 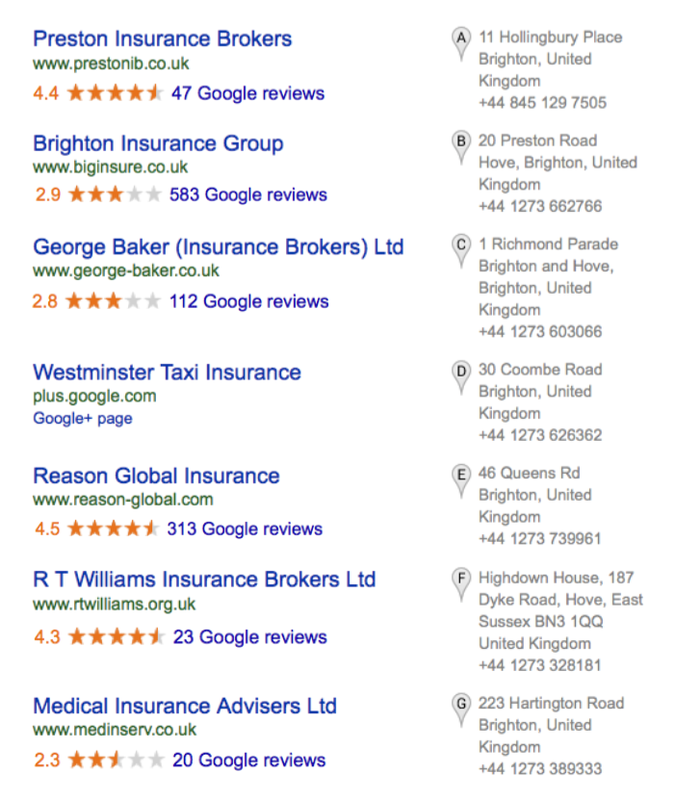 ** For those that may be sceptical about the numbers (of reviews) shown here; we would remind them that the 583 reviews shown next to Brighton Insurance represent less than two reviews a week over the period in question. More than that - the star ratings and numbers are taken from real business's Google listings - today!